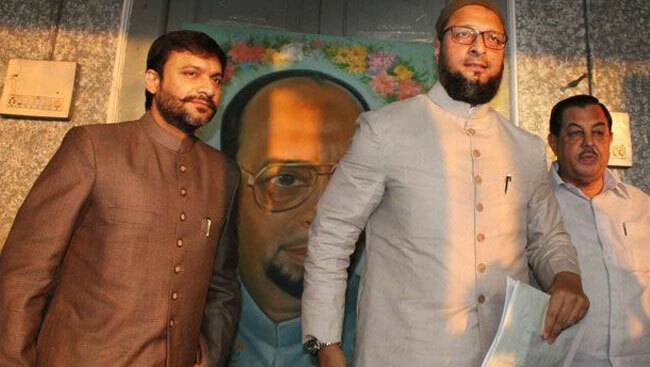 Such a Shi’a party MIM’s rise would threaten the stronghold of Sunni leaders in Muslim pockets. This has unnerved the pseudo-secular brigade and established Muslim politicians alike. So, Hindus who are celebrating speeches of the kind Javed Akhtar delivered in Parliament are stupid. The inference made here is that Owaisis serve as useful idiots for pro-Hindu parties like BJP in electoral battles because by being shrill Owaisi brothers fragment some of the Muslim votes. Firstly, this is a fiction popular in pro-Hindu circles that Muslims are stupid and Owaisi can help them divide their votes. The Muslims of Bihar delivered a tight slap on the face of psephologists and Owaisi where MIM failed to even open its account in the recent assembly elections, when it supposedly chose to contest only on Muslim dominated seats. And this result had nothing to do with MIM being Shia dominated party, but to the fact that Hindu votes still mattered and Muslims tactically chose to vote for anti-BJP alliance, which had high chance to win. Secondly, Shias are not any less or more virulent than Sunnis when it comes to stoking Muslim passions. Owaisi can be matched or even defeated by hate speech of Azam Khan, a Sunni. Both Shias and Sunnis try to overdo each other by projecting their anti-India stance. Both have extra-territorial integrity as shown by ISIS support among Sunnis and appeal to send counter-insurgents by Shias. But when it comes to Kafirs they join their forces to strike terror among Hindus. Just to remind those who have short memories that Jinnah too was a Shia and was voted en masse by Muslims of his time. So expecting to pit Shias against Sunnis for electoral dividends is fool hardy as it only allows snakes like Owaisi to prosper. Yes, Shias hate Sunnis but they hate Kafir Hindus even more. If you have any doubts about stand of Sunnis, just look at the recent fatwa by Sunni Deoband School against “Bharat Mata ki Jai” slogan. They just repeated and confirmed the stand of Owaisi. So, how are the true strands any different? Thirdly, it is a useless debate from the start to prop up Shias to gain electoral dividends. Why? When Hindus cannot implement their agenda with an 8:2 population ratio, it is plain stupid to think that they can surprisingly improve their fortunes with a ratio of 8:1.7(i.e. taking out 15% Shias). So the thoughts of pitting Shias against Sunnis will not help Hindus in developing a backbone to fight Islamic menace and vote tactically. Given the hatred spread by Owaisi, he will do much more damage in the long run than provide any short term electoral gains. There is no point in tolerating or justifying his rabid anti-India speeches. We agree with Dasgupta that there is no reason for Hindus to cheer on useless speech delivered by Javed Akhtar, but there is also no need to justify why fundamentalists like Owaisi brothers have to be more shrill than Sunnis. When it comes to Kafirs, all Mullahs will get together and dig their grave and hence it is foolhardy to expect that intra-Islamic rivalry can be used by Hindus, specially when Sunnis form more than 80% of Indian Muslims. It is true that Sunnis are killing both Shias and Ahmedias in Pakistan now, but the same Shias and Ahmedias fought tooth and nail and rioted in pre-independence India against Hindus. The law of Karma has finally caught up with their grandchildren but to create another Jinnah in India by giving free air-space and justification to Owaisi for short term political gains is nothing but suicidal. So, Owaisi and MIM should be contained before they becomes a major threat to the security and safety of India with the increase in Muslim population. They are a problem for the established pseudo-secular brigade only in the short run but a problem for the Hindus in the long run.